We are above all proud to be involved in this great and demanding project together with the world's leading manufacturers of marine products. 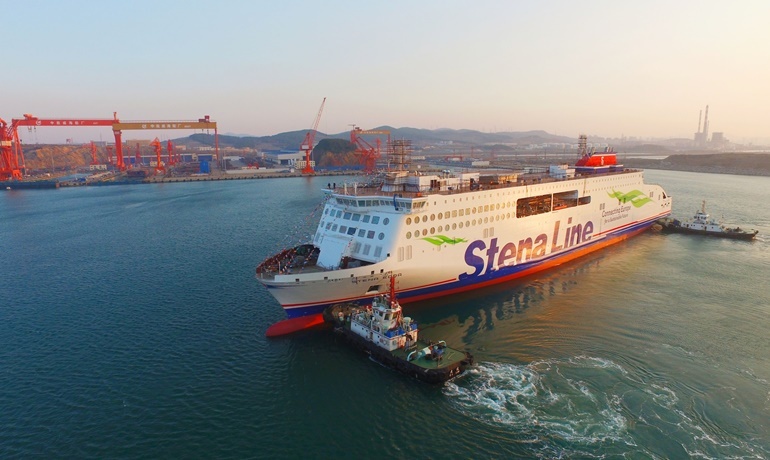 It is always a great experience to attend a ship’s naming ceremony and as Stena reveals the name of its second E-Flexer we are more than happy to see that another stage is completed. 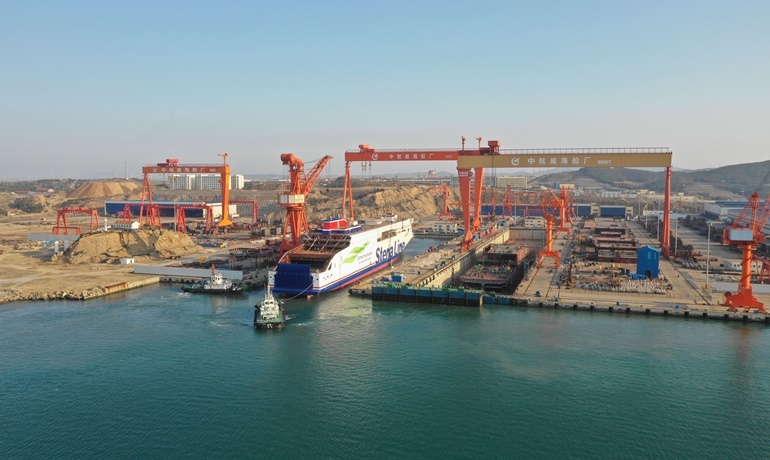 FERRY STENA EDDA is the name given to the second E-Flexer that has been floated out by builders AVIC Weihai Shipyard on 15 April. STENA EDDA, the name of which refers to a collection of mythological old Norse poems and divine mythology, is a sister ship of STENA ESTRID which was floated on 16 January. Today's ceremony started at 13:18 local time and at 18.00 the ship was floated out of the dock. These timings were chosen because 18 is a number of good fortune in China. 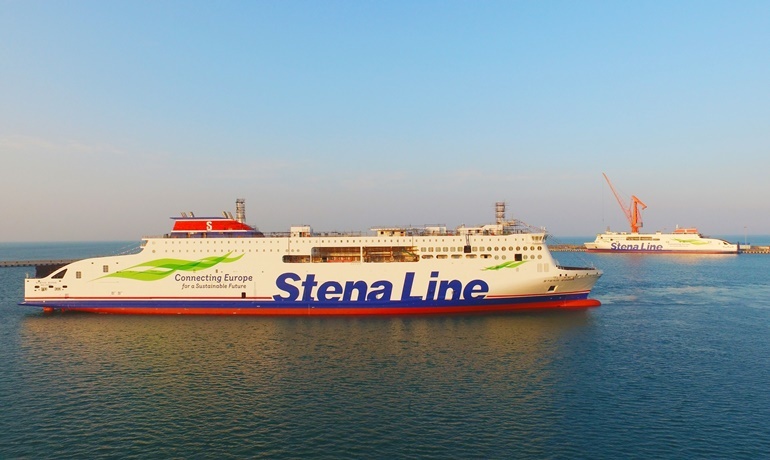 STENA EDDA has been towed to an outfitting quay and delivery is expected in spring next year, after which the 214.5m long and 27.8m beam ro-pax will head for the Irish Sea to be introduced on the domestic Birkenhead (Liverpool)-Belfast service. The third E-Flexer, GALICIA, will be long-term chartered by Brittany Ferries, whereas the yet unnamed number four in the series will join STENA EDDA on the Birkenhead-Belfast route in early 2021. The E-Flexer series has meanwhile been extended to nine vessels and Stena RoRo holds an option for two more units. Five ships in the series – including two lengthened versions – will join Stena Line, three will be long-term chartered by Brittany Ferries and one will be long-term chartered by DFDS for service across the Dover Strait. The first ship for Brittany Ferries will be scrubber-equipped, whereas the two other ones will be LNG-powered. What are the ingredients for Optimum layout Arrangements?